The topic of the day at Abington Hospital’s Jefferson Health Zaslow Auditorium as presented by Lisa Philp, RDH, drew Lucy Hobbs Project members for an afternoon of insight. 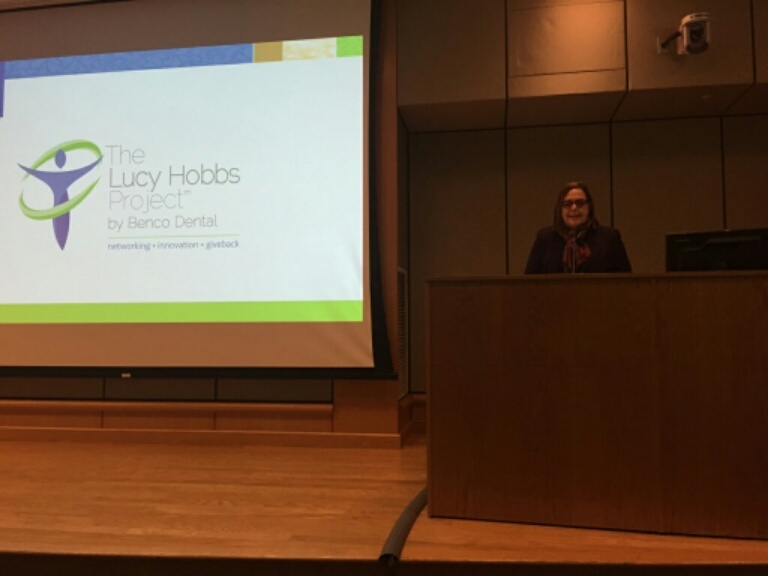 Immediate Past President of the American Dental Association Dr. Maxine Feinberg addresses attendees at The Lucy Hobbs Project event Friday in Abington, Pennsylvania. 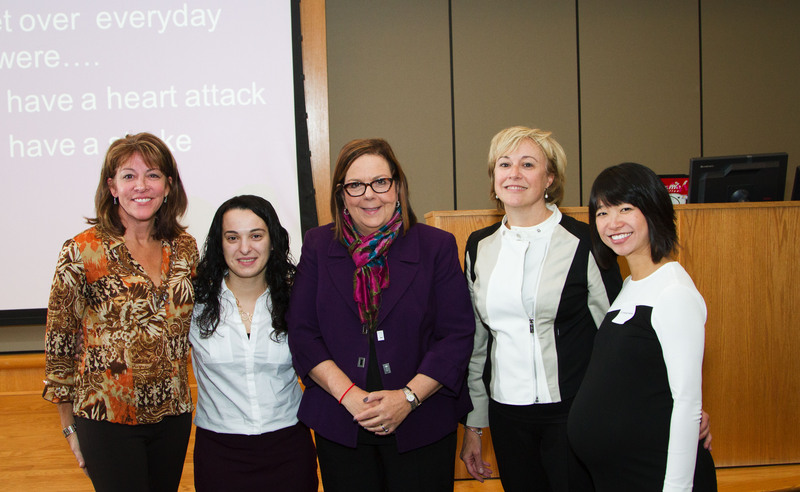 Special guest at the event included American Dental Association Immediate Past President Dr. Maxine Feinberg. The Lucy Hobbs Project mission: to empower women in dentistry to drive change and deliver results through networking, innovation and give-back. Founded by Benco Dental, the initiative is named to honor Lucy Hobbs, the first woman in dentistry. Born in 1833, Lucy was refused admission to dental school because of her gender. But she persevered, eventually learning dentistry as an apprentice, graduating from the Ohio College of Dental Surgery, and becoming the first licensed female dentist in 1866. Her leadership, courage and success paved the way for other women. Benco Dental is committed to helping others to do the same. Transitions North America President Lisa Philp, Lucy Hobbs Project Coordinator Amanda Ankner, ADA Immediate Past President Dr. Maxine Feinberg and members of the Transitions team at Friday’s Lucy Hobbs Project Networking Event. Why aren’t some pregnant women visiting the dentist? DrBicuspid.com offers insight.